Arrrrrrrrrriba! Mexico is the land of exotic destinations, the ruins of ancient civilizations, and, of course, delicious food! Anyone who’s ever tried tacos, or nachos, or burritos, or fajitas knows just how amazing Mexican cuisine is. Of course, it helps if you enjoy spicy food, as most Mexican food has that South American kick to it! But, we have no doubt you’re going to find some sort of Mexican cuisine you enjoy. You know what’s better than Mexican food? Mexican food in Mexico. If you have never visited our brothers and sisters in the South, it’s time to do so. There is so much delectable cuisine here for foodies, and you will be able to taste all the different flavors of Mexico. With that in mind, we decided to put together this unbeatable guide to the best food joints in all of Mexico. You can thank us after your tamales, hombre! This wonderfully authentic Mexican joint is hidden away amidst the hustle and bustle of Coyoacan Market. In fact, many unsuspecting travelers have probably gone right by without knowing it’s there. Luckily, we know a guy… Anyway, this place does arguably the best tostadas (fried tortilla with filling) in the country. There are plenty of other places claiming to offer this, but this one is the number one, genuine, authentic, accept no substitutes place to be to get your tostadas fix! Let’s be honest, there aren’t many things that can’t be solved by tacos. And, if you consider yourself a taco aficionado, you need to visit the place that does arguably the world’s greatest tacos – Mexico. And, while you’re here, visit local favorite, and Mexican institution, Tacos Gus; the ONLY place to come if you want amazing tacos. They do some excellent vegetarian options, and the menu is diverse and affordable. You can sit in, or take them to go as you explore the city. 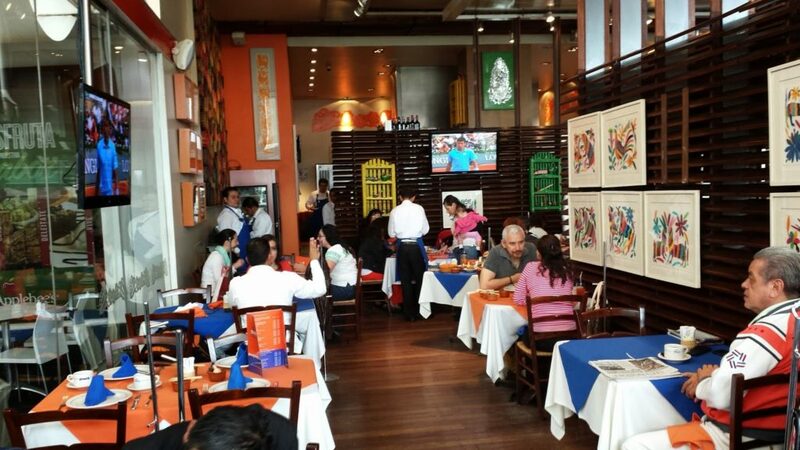 It’s not just Mexico City that has some amazing restaurants – San Cristóbal is home to one of our favorites. 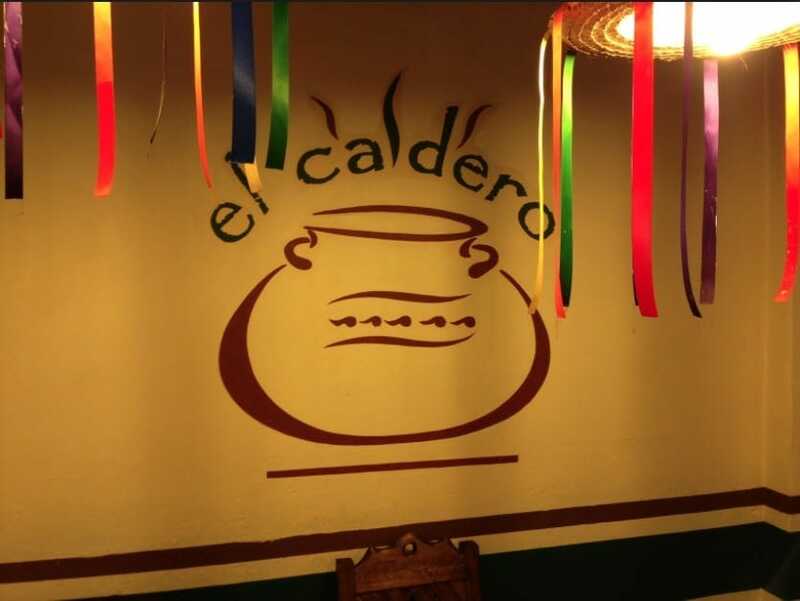 El Caldero is the place to be if you want to try local Mexican soup. They have 10 different kinds here, all served with salad and tortillas! The menu is a perfect size, and the food is incredibly affordable. The soup mains will set you back about $6, and they are warm, tasty, and hearty – perfect for those traveling on a budget. Whenever we go away, we always like to take the time to experience the local food the way it should be experienced, with a food tour. 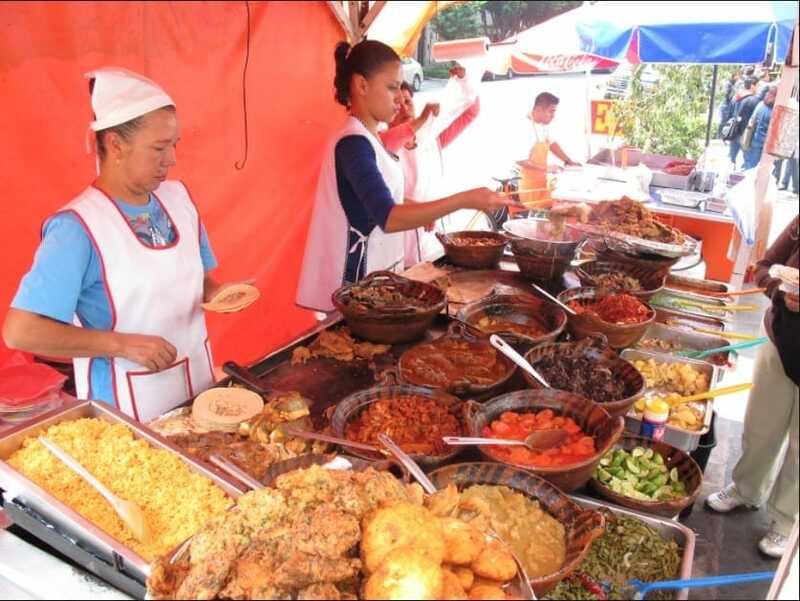 Puerto Vallarta is the best place to be when you want to take a wonderful food tour in Mexico. You can wander the old streets with your guide, and try food from market stalls, pop-ups, and back alley hole-in-the-walls. 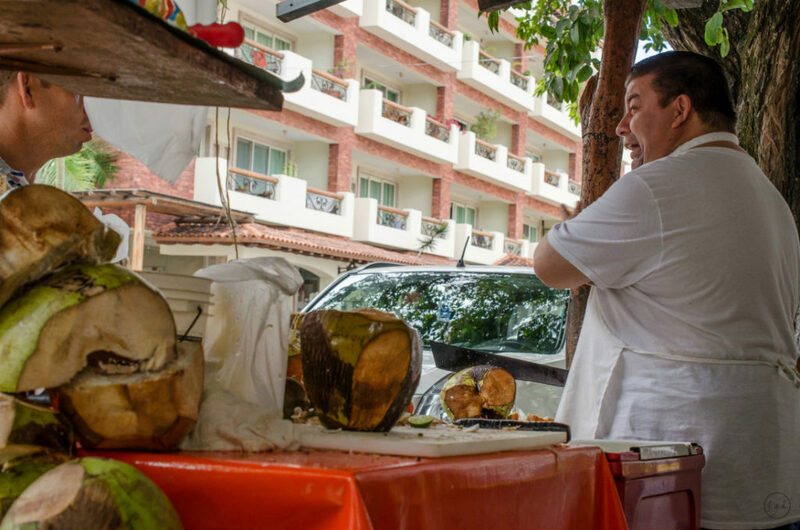 This is Mexican cuisine at its finest, and we absolutely insist you book one of these tours as soon as you can! As well as being wonderfully named, El Bajio is also one of the top places in the country to get authentic Mexican cuisine. Unlike the previous places mentioned, this one does a vast array of delicious Mexican dishes, giving you lots of choices, and plenty of bang for your buck. Head to the north of Mexico City, and meet the friendly proprietor Carmen, as she feeds you delicious specials like crab-meat quesadillas! It’s one of the best places in the city to find delicious and authentic local food. 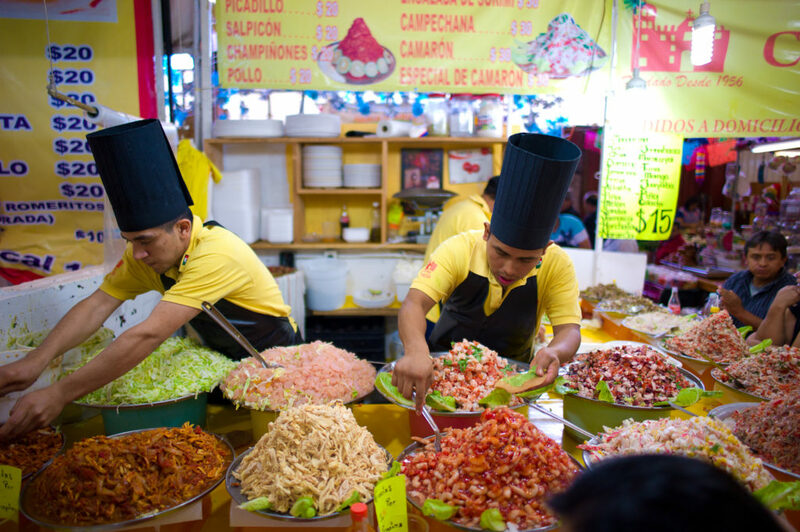 As you can see, Mexico has some pretty darn amazing food joints. Of course, there are many more than the ones we’ve mentioned, but those are the best we’ve experienced personally. You don’t want to travel all the way there and just eat at McDonald’s every night! These places give you a taste and flavor of the country and are the perfect places for helping you start your Mexican food adventure.